By Joe LaGuardia. This is a new take on an old blog post; reprinted with revisions from 2010. With a new Congress taking office, political speeches becoming even more heated, and an 2016 election season already underway, the celebration of Martin Luther King, Jr., this weekend should give Christians pause as to their place in modern society. The Rev. Martin Luther King, Jr., is one of my heroes of the faith. For me, King’s heroism resulted from his ability to stand up against the tidal-wave of public opinion and divisive rhetoric in order to uphold the values and convictions he held so dear. During King’s day, there were several major impediments to furthering the goals of the Civil Rights movement. One impediment originated from the many local and national policies that upheld a “separate but equal” status quo. The other impediment was the subtle, yet loud voice of public opinion opposing greater equality for minorities in society. Public opinion, usually expressed in opinion polls, is a necessity in politics. It measures public sentiment; however, what the Civil Rights era proved was that public opinion—especially of the majority—does not necessarily reflect a biblical worldview. Politicians and pundits rely heavily on public opinion to shape national debates, and sometimes public opinion can change depending on the questions asked. For instance, a survey may show that a majority of Americans are against “Obamacare,” but may favor the “Affordable Care Act.” Not many people realize that they are the same thing. 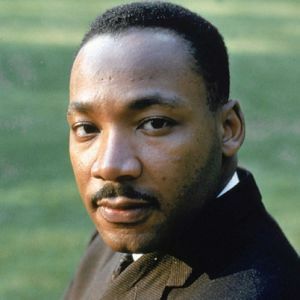 When Dr. King faced majority opinion in opposition to the Civil Rights cause in the mid-1960s, he noted on more than one occasion that Christians rarely walk to the beat of the populist drum. Nor are they to be fooled by rhetorical loop-d-loops. One of King’s most moving sermons, “Transformed Nonconformist,” claimed that Christians are citizens of two worlds but ultimately answer to the heavenly realm. He said that conformity to public opinion can sometimes lead Christians away from Christ. He also recognized that churches can also fall prey to conformity if they do not critically assess how God might be bringing about aspects of His Kingdom on earth through reflection and dialogue. Sometimes God’s way of doing things looks very different than what a crowd might advocate. Churches that simply fall in line with the rest of America without a sense of moral discernment and prayer can easily blur the line between prophetic engagement and partisanship. The church that does not embody God’s reign looks no different than a political action committee. Going against public opinion for its own stake was not what King was all about; rather, he challenged his audience to consider how convictions shape civil discourse. In other words, King never went rogue; his convictions were born out of a strong and consistent sense of righteousness. In spite of public opinion, which changes from day to day, King kept in mind the bigger picture of God’s unfolding history. I do not doubt that opinion polls are extremely useful in many situations; nevertheless, they are not necessarily designed to determine what Christians are to believe about public policy. Aside from making great strides in social justice for African Americans, this profound lesson is—in my mind—one of the greatest contributions that Martin Luther King, Jr. and the Civil Rights movement as a whole made to American society. Let us keep King’s vision ever before us as the next election season unfolds.